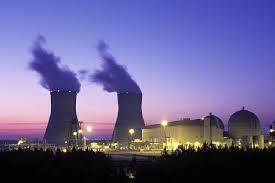 Nuclear Regulatory Commission systems were hacked three times in the last three years. According to investigators the bad actors are foreign hackers. U.S. Nuclear Regulatory Commission (NRC) has been hit by cyber attacks three times during the past three years, bad actors behind the offensives have conducted spear phishing attacks to compromise the internal network of the organization and to harvest log-in credentials. The Nuclear Regulatory Commission (NRC) is a critical organization because it maintains detailed information about nuclear reactors, waste storage facilities and uranium processing plants across the United States, for this reason is considered a privileged target for foreign hackers. According to the NextGov in all the attacks were involved state-sponsored hackers, but the agency hasn’t provided the name of the Government behind the cyber operations. In time I’m writing, there’s no specific timeline for any of the three attacks, according to NextGov the inspector general started the investigation in 2010 and discovered 17 compromises or attempted compromises; the report was closed in November 2013. An inspector general report NextGov obtained the information through an open-records request, 215 employees of the Nuclear Regulatory Commission were targeted by cyber attacks, victims were infected by clicking on a malicious link included in phishing emais. The malicious emails baited the U.S. Nuclear Regulatory Commission by requesting them to verify their user accounts by clicking a link and logging in, the link really took the victims to a Google Docs spreadsheet. The report accessed by Nextgov reveals that the IG Cyber Crime Unit was able to “track the person who set up the spreadsheet to a foreign country,” without providing further info on its country. “Based on the mere fact of clicking on the link, NRC cleaned their systems and changed their user profiles,” said commission spokesman David McIntyre highlighting that it is unknown what the NRC employees actually put on the spreadsheet. In a second attack, state sponsored hackers served a malware in a spear phishing attack, this time the malicious link embedded in the emails linked back to a Microsoft OneDrive storage folder that hosted a malware. “hackers also attacked commission employees with targeted spearphishing emails that linked to malicious software. A URL embedded in the emails connected to “a cloud-based Microsoft Skydrive storage site,” which housed the malware, investigators wrote. “There was one incident of compromise and the investigation tracked the sender to a foreign country.” Again, the country is not named. ” states the post published by the NextGov. Differently from previous attacks, in this third case it was impossible to track the attackers because the ISP’s logs had been destroyed. Unfortunately, it’s not the first time that state-sponsored hackers target the Nuclear Regulatory Commission, in the past Sen. Tom Coburn, M.D. (R-Okla.) reported that the NRC has stored sensitive details about nuclear plants without implementing proper defensive measures. Curious that a report on cyber security on the Nuclear Regulatory Commission issued by the OIG considered the agency suitable for securing nuclear power plants in the case of a major cyberattack avoiding to make any recommendations to the agency.